The first step in the programme will bring an Australian specialist in tropical chicken keeping to Lae to train a small number of master farmers and it is hoped that one of these will be from Bouganville. Once the master farmer has been trained the average cost for each new project will be about $10,000. The RCOB is hoping to obtain a district grant of $5,000 and contribute the remainder in order to set up the project in Wau. 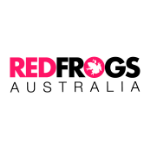 Red Frogs is a support network for young people, aiming to provide safety responses, referrals to professional services, education and alternative event programming. 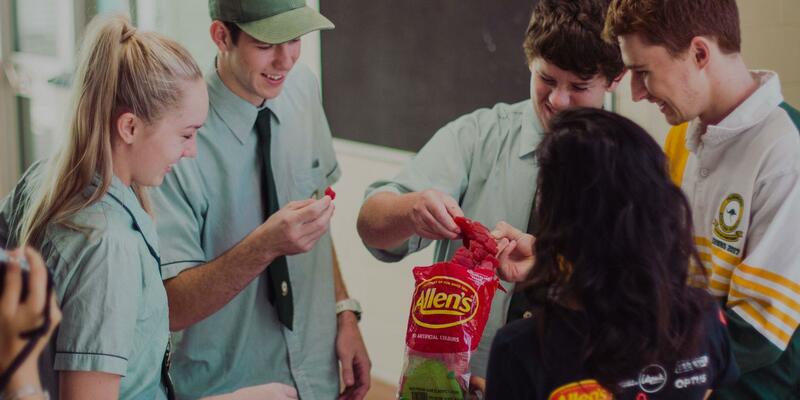 Each year 24 tonne of ‘Allen’s Red Frogs’ (provided by Nestle), are used as an ice breaker to connect Red Frog volunteers with 1.43 million people (predominately youth & young adults) in environments such as Schoolies, Universities, Festivals, Schools, Skate Parks and Sports Events. The Rotary Club Of Brisbane became a major partner of the Red Frogs program in September 2017 with a commitment of $50,000 across two Rotary years. Endoscopy training of rural GPs at the Princess Alexandra Hospital is already starting to make a difference to rural Queenslanders. The project was initially the brainchild of RCoB's Professor Gerald Holtmann who also happens to be the Director of Gastroenterology and Hepatology at the Princess Alexandra Hospital. Dr Jennifer Wharton from Thursday Island at the PAH Rural Endoscopy Training Centre observed by Prof Gerald Holtmann, Director of Gastroenterology & Hepatology, PAH and Dr Derek Holroyd from Proserpine. Gerald was concerned about the amount of travel required of rural patients who generally need to travel hundreds of km to regional centres for endoscopic examinations. This is not a problem that can be solved simply by spending money to locate equipment in far-flung locations. Trained personnel need to be on-hand to perform the procedures, and they just are not available in rural areas. 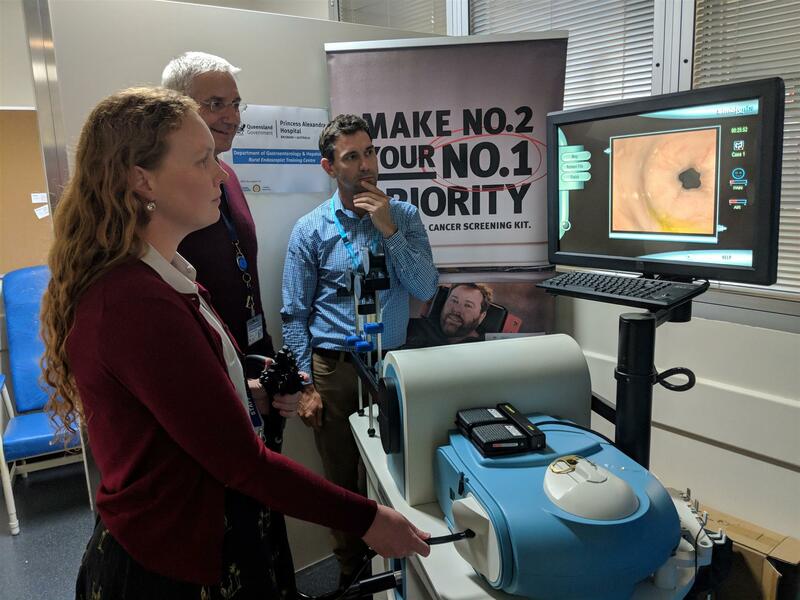 Gerald brought a proposal for the training of rural generalists in endoscopic procedures to his Rotary Club, who agreed to seed-fund a start-up project to the tune of $20,000 in collaboration with the Princess Alexandra Foundation and Queensland Health. Your correspondent admits that the title of this story is slightly misleading. As part of their Campus Ministry, students, staff, parents and Old Boys of St Joseph’s College, Gregory Terrace, supported by friends and community groups, conduct a Big Brekkie for homeless people (and those merely hungry) in and around the gardens of the inner city each weekday morning. The van is affectionately named after Edmund Rice, Roman Catholic missionary and educationalist, founder of the Congregation of Christian Brothers and the Presentation Brothers and it has in fact been operating for well over 20 years. 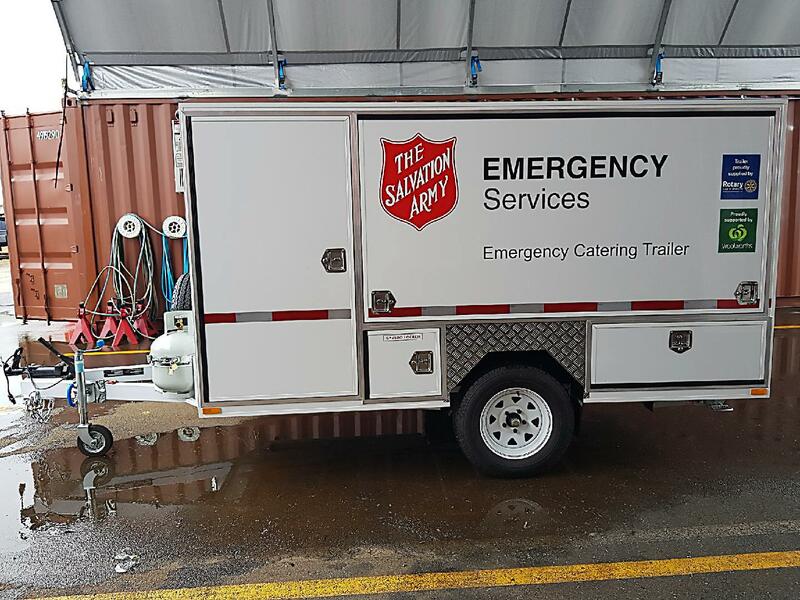 The Salvation Army Emergency Services operates a fleet of emergency services catering trailers which are stationed across Queensland to provide rapid response in case of natural disasters and other emergencies. Typically one or more of these trailers can be at the disaster site to provide food for relief workers and local residents in a few hours. On average the Salvation Army Emergency Services attend an emergency at least once every day of the year. In 2017, The Rotary Club of Brisbane funded a replacement catering trailer to the tune of $30,000 to help the Salvos help people in need. For more information about the Salvation Army Emergency Services, click here. The Mentors for Charities project was developed by Dr. Patrick Caragata, a former Board and club member of the Rotary Club of Brisbane, over a three year period beginning in early 2013. Caragata is the founder of Rapid Ratings International in New York City, a software-based global risk ratings, analytics and research firm that produce s ratings for thousands of firms in 110 countries. His motivation was that there is a large hole in the centre of the social infrastructure for each community as a result of the gradual erosion of the influence of religion, religious organisations, extended and nuclear families, and neighbourhoods over the past 50 years. This is compounded by constraints on government donations to charities given fiscal deficits. These obstacles to building better social capital in communities and, and in its absence, to preventing their distressing consequences, are daunting, but effective efforts can be made to help in addressing them if the business community, through Rotary Clubs, offers effective assistance. Amidst the competition among charities for funding assistance there will be many winners and many losers. Many of the losers are smaller charities that provide valuable services but which are not good at presenting their case or competing against larger charities for available funding. This presents many opportunities for Rotary. 27 Rotarians were at DIK last Saturday 23rd June. This was the wrap up of DIK’s time at Durack. This is because the owner wants his property back, and gave 6 months’ notice last November. From our club Brisbane Rotary, there were 6 members – Denise Schellbach, Keith Watts, James Delahunty, Jacqui Page, Robyn Burridge and John Smerdon. The Rotary Club of Brisbane funded a shipment of 2,500 kits to kids in remote areas of Timor Leste in 2018. The Project has evolved through collaboration by the Rotary Club of Townsville and the Veterans Care Association based in Brisbane. Old Army buddies Bruce Scott from Rotary in Townsville and Gary Stone from Veterans Care Association agreed in late 2016 on the utilisation of participants in the Timor Awakening rehabilitation programme, to pack and deliver in person to each child, a small education kit comprised of an exercise book, a pencil, rubber, ruler and a Ziploc plastic bag to carry them in. The items for the kits are purchased in Dili by Rotary with funds raised in Australia. When he took office in July, 2017, Rotary's global leader, Rotary International President Ian Riseley challenged all Rotary Clubs across the world to plant one tree per Rotarian as a sign that Rotary is committed to sustaining and improving the environment. Rotary District 9600, to which the Rotary Club of Brisbane belongs, took up the challenge with project "Target 1414" to plant at least one tree for each of the 1414 Rotarians in the 65 clubs throughout the district. Rotarians from District 9600 present and ready for action in project "Target 1414". Led by Terry Kung, a team of 4 Rotarians from the RCoB took part in the annual Clean Up Australia Day. Terry, Michael Stephens, Luke Marshall and Keith Watts participated at the Hamilton Reach site which was coordinated by Leon Hays, MD of Solar Bins Australia. In the Words of Terry Kung, " We collected quite a bit of rubbish especially along MacArthur Ave. It was a morning of hard work under strong sun but well worth it." It was also a good networking opportunity to meet other people who like to put something back into the community and as usual, Membership Chair Keith picked up some strong leads.